Despite extreme weather in the North of the country, Albania is a great year-round destination. Whenever you visit, you’ll find something to entertain you in its ancient cities, on its beautiful coastline, or in its impressive national parks. 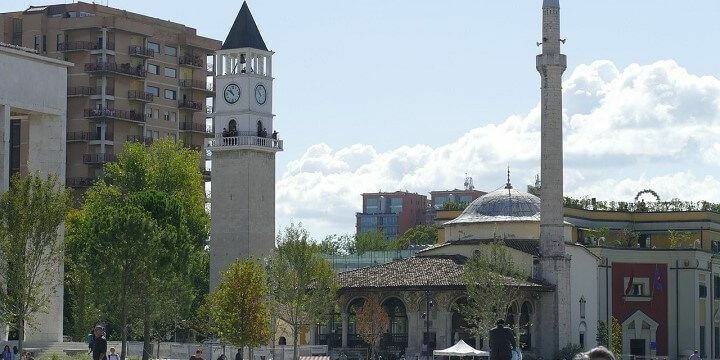 Start your visit to Albania’s capital, Tirana, in Skanderbeg Square, around which you’ll find key landmarks, such as the Et’Hem Bey Mosque and the National History Museum. With nearly 5,000 artefacts, this is the largest museum in Albania; however, it’s also worth visiting BunkArt and BunkArt2. These museums feature exhibitions about the old Communist regime, and are based inside former anti-nuclear bunkers. The Et’Hem Bey Mosque is one of Tirana's most outstanding landmarks. Despite being a capital, Tirana is full of natural beauty. Travel just east of the city to find the 1,613-meter-high Mount Dajti, which you can ascend via cable car. 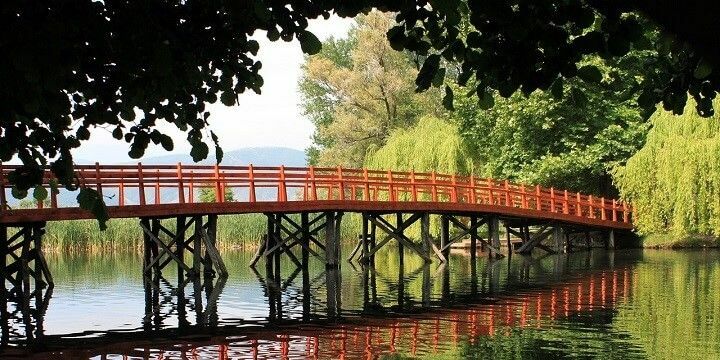 Alternatively, check out the Artificial Lake in the Ish-Blloku district, the perfect spot for a scenic stroll. This neighborhood was once a former elite Communist district, but is now home to trendy bars, restaurants, and nightclubs, and is also the hub of Albanian coffee culture. 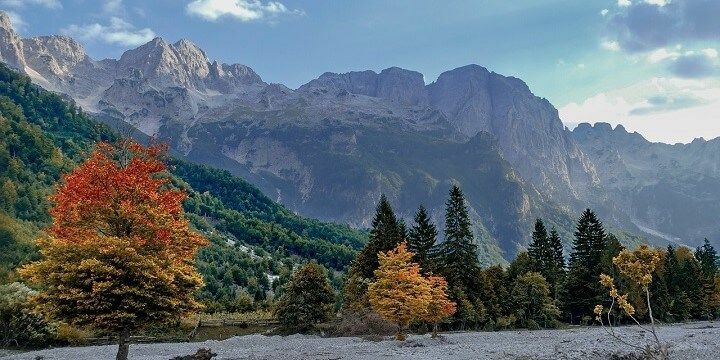 Stretching across 80 square kilometers, the Valbona Valley National Park is located in the North of Albania, and has excellent hiking, biking, and canoeing opportunities. With an average snowfall of 100 centimeters between November and May, the park’s mountains are also fantastic ski spots. The Valbona Valley National Park is great for hiking, biking, canoeing, and skiing. Visitors can explore stunning caves, such as Mulliri, Akullore, and Puci. The latter, standing at 1,087 meters above sea level, is the most popular and features impressive stalactites and stalagmites. There are plenty of quaint villages with hotels for your stay in the park, such as the alpine-style Dragobia, the larger village of Valbona, or the blackberry hill village of Razma. The North of the country has more to offer than Valbona Valley. Don’t miss out on its spectacular beaches, such as Shengjin Beach, situated just eight kilometers from the town of Lezha. Check out the Drin river, located south of the beach, to see its two stunning lagoons, before climbing the town’s 186-meter-tall hill to roam around its castle. Rozafa Castle next to Shkodra Lake offers great views. Another must-see is the 370-square-kilometer Shkodra Lake, which straddles the Montenegro border. You can get fantastic views of the shimmering lake from the Rozafa Castle, which sits on a nearby rocky hill. 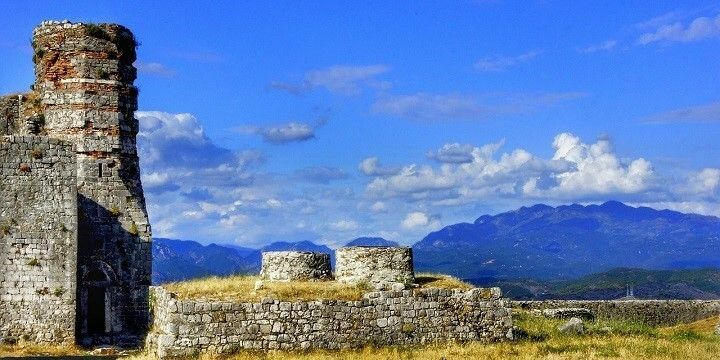 If you want to learn about Albania’s long history, be sure to explore its central region. 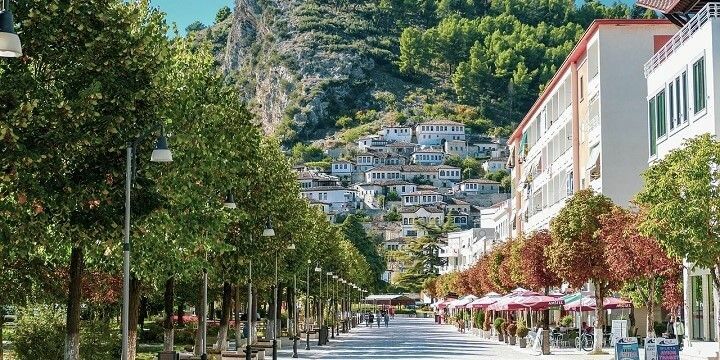 Berat, for example, is a 2,400-year-old city and UNESCO world heritage site, with a fascinating Old Town. While in the city, check out the Osumi Canyon, which features underground passages and hidden caves. Berat is a 2,400-year-old city and UNESCO world heritage site, with a fascinating Old Town. Another historical town is Durres, situated just 34 kilometers from the capital. As well as the biggest seaport in Albania, Durres is home to a range of old sights, such as a 9th century church, and the second-largest Roman amphitheater in the Balkans. For a livelier atmosphere, check out Korca, where the country’s largest festival takes place every year. It’s also a great base for exploring the surrounding nature, such as the Voskopoja and Dardha mountains, or Prespa Lake, Albania’s largest national park. Lake Ohrid in Pogradec is home to 17 species of aquatic animals. For more natural beauty, head to Pogradec, where you’ll find Lake Ohrid. The lake contains 17 species of aquatic animals, such as the koran fish, which you can taste in restaurants dotted around Ohrid. Albania’s southern region has some of the country’s best beaches. Visit Dhermi to find clear water and secluded sandy stretches, as well as a 70-meter-high canyon, located just past the Gjipea Beach. Vlora, meanwhile, hosts the second-largest harbor in Albania, which is a peaceful location for an afternoon stroll. It’s also home to the Bay of Vlore, a small rocky beach with bars, clubs, and restaurants. Albania’s southern region has some of the country’s best beaches. 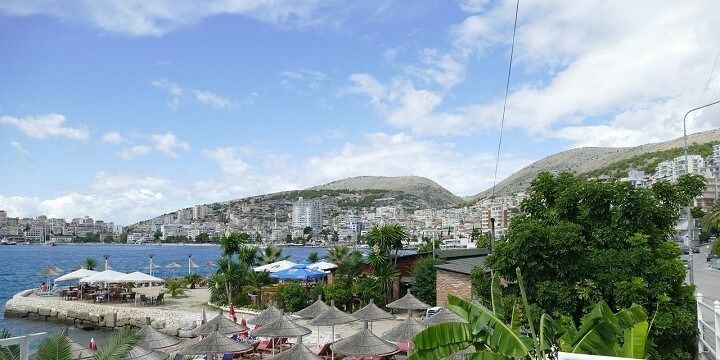 More beautiful beaches can be found in Saranda, where younger audiences take to its Central and Liman beaches. From Saranda, you can also take a day trip to the Greek island of Corfu, which is only nine kilometers away. If NextStop24 helped you to choose your next travel destination, we'd be very grateful if you’d search for your accommodation and things to do in Albania through these links. They're affiliate links, which means that we will receive a small commission for every booking made through them. There are no extra costs for you; you'll simply be helping to keep NextStop24 running. Thanks! Albania is a wonderful and diversified country... The people there are unbelievable kind and friendly but many streets are in a bad condition. Albania offers historical towns and a beautiful coastline.